Spectacles are spectacular. I know that was lame, but it’s completely true. When I was in 8th grade I bought my first pair of thick rimmed black glasses. Back then it was the cool punk/emo accessory to have and since I really needed them for my poor eyesight, mine were actually funtional unlike those of others. This was back when emo meant the style of indie music and it didn’t mean you had to be some depressed teenager who wasn’t understood by anyone in the world and had a permanent tear on your cheek. Ahhh, kids these days. Moving on – a few years ago I decided I wanted to try thin framed “intelligent” looking glasses. Big mistake. It took me all of about 2 hours to realize they really weren’t me and I wanted my thick frames back. 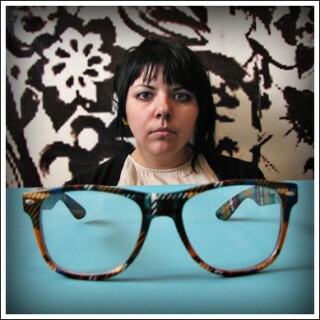 In 2007, Marie Genevieve Cyr was in the top 3 contestants for Project Runway Canada season 1. I was not only drawn to her style as a designer, but also her personal style. After seeing her in the first season of Project Runway Canada, I spent weeks scouring the internet looking for glasses like hers. Sadly, I have had no such luck. While she may look like a big nerd to some, I think her glasses make her all the more beautiful and interesting. 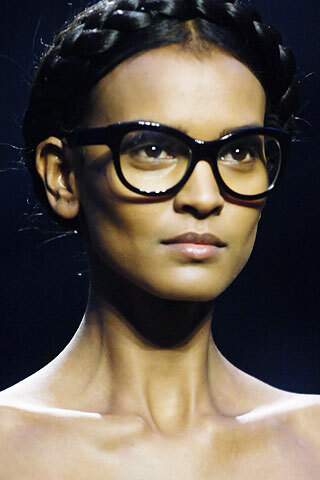 To this day, it is still my mission in style to find glasses like hers. I am not ashamed to admit that I love big, nerdy glasses. Geek chic is in people. I own 3 pairs of fake glasses in addition to my real glasses just because I love them so much. They are the perfect accessory without wearing pounds of jewelry. And please don’t wear tons of jewelry when you are wearing glasses. Prescription or not, glasses ARE an accessory. Any guess as to which photo are my actual prescription glasses and which of these is my favorite pair of glasses from my collection? I say the bigger the better. I love those glasses!! Those photos of you are so cute Storm! :) And yes, Marie Genvieve was definitely the best! 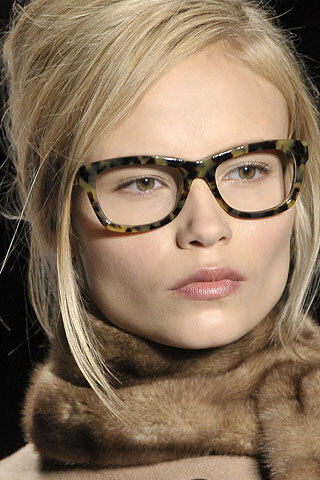 Geek chic can only be IN for truly chic people, because otherwise everyone will just think you’re a geek. You glasses are hilarious. I don’t think you are going to like what I am about to tell you: WalMart had a whole wall of huge plastic GEEK Glasses at Durango earlier this week for $5.99 each. Isn’t it a fact that when WalMart gets on board, they are OUT!? And I just want to get ride of the ones I have and be two eyed. Maybe someday I’ll find a pair I just Love….someday. 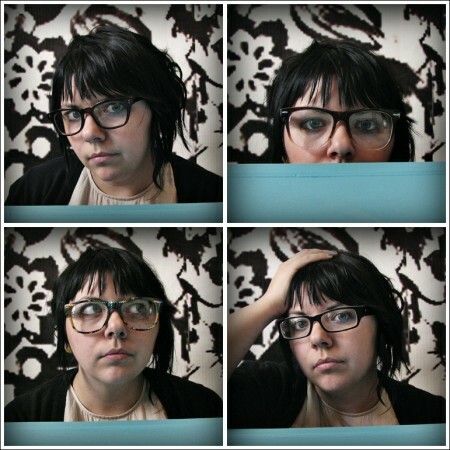 I have always loved glasses….Now I do have couple other pairs since 2007.